Cheap Flights to Christchurch, New Zealand. Return Flights. Christchurch is a magnificent and the largest city located inside the South Island of New Zealand. 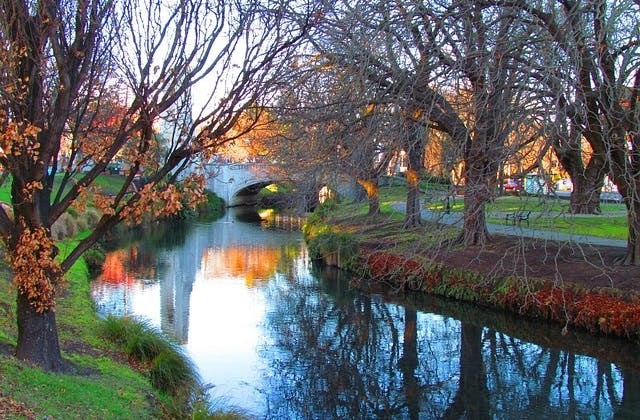 Known as the Garden City, and enriched with an artistic flair, Christchurch offers the ultimate getaway. Whether visiting The Christchurch Art Gallery, or taking a mind blowing trail through the radiant Botanical Gardens, kids and adults the same are sure to find something worthwhile. The Roman Catholic Cathedral of the Blessed Sacrament, with its elegant renaissance style architecture proves worthy for the appreciation of art. Christchurch offers an abundance of wildlife parks and museums, but doesn't shy away from cinemas, theatre, music and multipurpose venues. The enchanting scenery is what makes Christchurch a popular tourist destination. The cheapest flight to Christchurch is $446 departing from Adelaide flying Jetstar. The IATA code for Christchurch is CHC. The Coordinated Universal Time adjustment for Christchurch is 43200. @HayleyByrnes I've had some bumpy flights coming over the Southern Alps into Christchurch.